My first adjustment was hours after I was born, and I am so grateful my parents did that for me. Although I don’t remember it, that decision and others like it set a precedent for me to value my health. 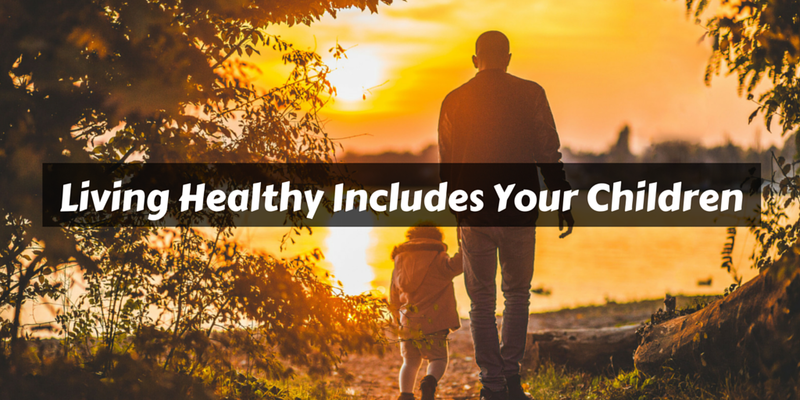 I saw my parents make these choices for a healthy lifestyle as I was a child, and now, as an adult, I am so thankful they prioritized the health of our family in my early years. Living a healthy life includes more than just yourself; it should be something we strive for with the people we love. As you prioritize your health, you enjoy life more and we think it is important to experience the life we were made for with our closest family and friends. It is so important for our children to grow up in a home that prioritizes personal health and well-being, even when it requires a cost or sacrifices to be healthy. Living a healthy life is a non-negotiable for me and my wife, and a huge reason for that decision is because of the example my family set for me growing up. Many people wonder how in the world I got an adjustment as an infant and why I needed one so early. The truth is, kids play hard and fearlessly and are not always aware of the consequences. Infants experience unintentional trauma through birth, quick movements without the strength to support their neck, or even rough, repeated falls as they learn to walk. All of these things can affect the spinal system and call for a necessary adjustment. The reality of life is that we are busy and active and kids are not always aware of their limitations. It is amazing for us to see a family walk in to Elevate with their infant or toddler and to hear them talk about how their child’s quality of life seems to be improving as they are adjusted. Being adjusted as a child helps children maintain optimal spinal health and nervous system function. By making these steps, your children will have better sleep, fewer behavioral problems, and better overall development. You may be afraid to bring your toddler to a chiropractic office or maybe you don’t even think they need adjusted, but we can assure you everything we do is very gentle and extremely safe. The method we use at Elevate is non-aggressive and does not include the rough “popping the neck or back” methods that many assume are risky or dangerous. Everything we do is safe, with the individual’s state and age in mind, and we make sure parents and children feel comfortable and understand what is going on. At the end of each day, we love the people in our city and want to see them live the exciting and joy-filled lives they were created for. When families are healthy, cities are healthy. We want to help families raise their children in a culture that values health and prioritizes it above all else. Elevate Chiropractic is committed to a healthy life for the whole family. Contact us here for a free assessment on your first visit.